Many people have long ago converted their formal dining rooms into home offices, instead opting for kitchen bars or dropping a dining set close to the kitchen in their open floor plan homes. These options are okay if all the chaos of eating in a non-space doesn’t put you off your feed. The word “nook” would imply a very informal space, or a dark and tight room. The word, certainly originally used to make the concept feel even more quaint, is incredibly misleading. and they aren’t uncomfortable. They’re often the best seats in the house! There’s no wrong way to nook, work with the space and view that you have and the rest will follow. You don’t even need a traditional dining set! Plenty of breakfast nooks are outfitted with booths permanently affixed to the wall. even if your nook doesn’t have a dramatic overlook. These people aren’t nooking wrong, they’re just serious about their space. That’s okay, nooks are for everybody, casual or formal. In fact, some formal nooks manage to gush with luxury in scale. 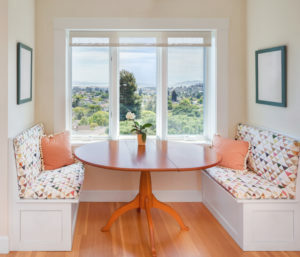 If you’ve been dreaming about a breakfast nook, but haven’t been sure about where to start, talk with Team Caropreso for a referral when hiring a contractor. 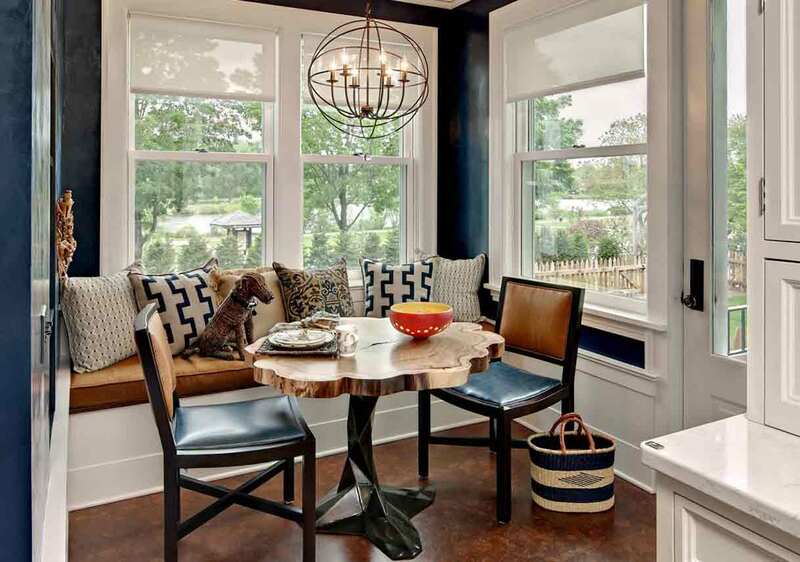 Lack Space for a Breakfast Nook in your current home? Then reach out to Team Caropreso to begin the process of selling your home, and locating that Dream Home with a Breakfast Nook!